Tying in slightly with Fleur Alston's project depicting landscapes where battles and hangings and invasions and such once took place, Neil A. 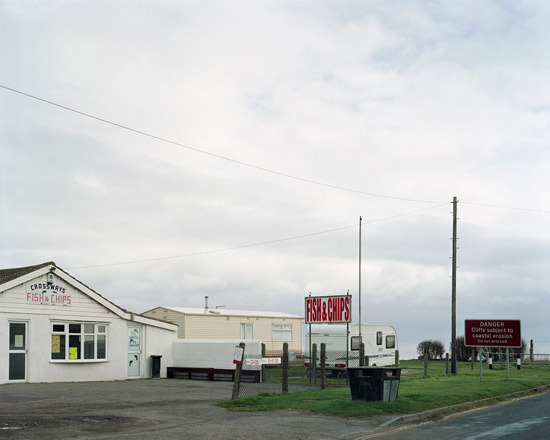 White's project 'Lost Villages' shows homes and rural areas potentially about to become history. 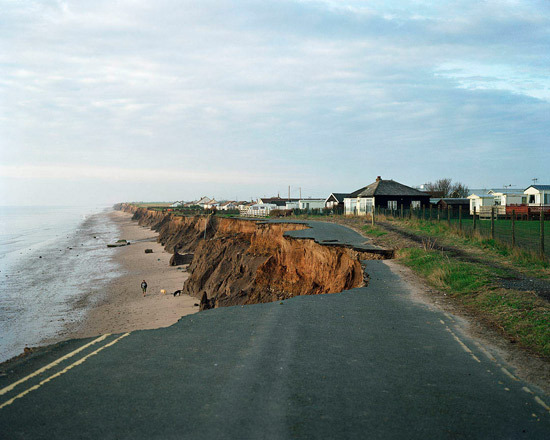 "The Holderness coast located in the North East of England endures the highest rate of coastal erosion in Europe. The devastating consequence of this is villages and land slowly disappearing into the sea. 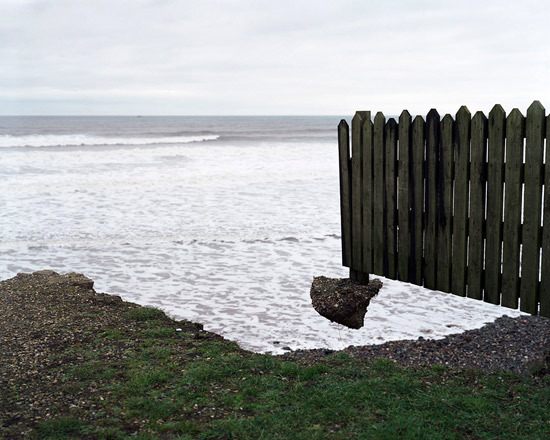 The 'Lost Villages' project aims to explore the constant battle between the North Sea and the mainland, and to document the irreversible change taking place on the Holderness coast." "The speed of the erosion has increased significantly in the past decade thanks to rising sea levels, which is linked to climate change. It is estimated that up 32 villages dating back to the Roman times have already been lost to the sea. 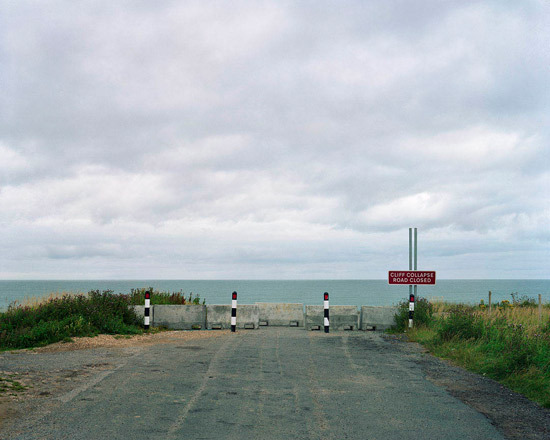 During World War II many outposts were built on this 61 km stretch of coastline. 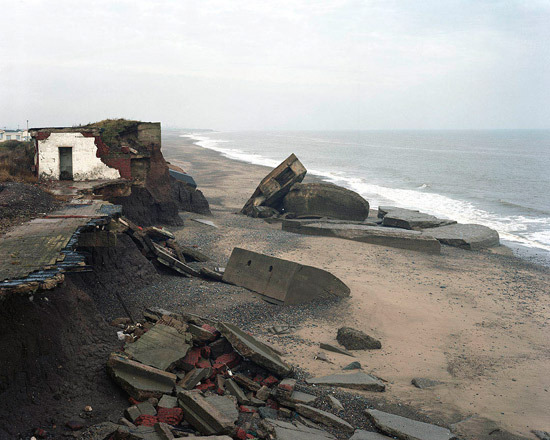 What remains of these outposts is now falling into the sea." "The historical events which took place on this coastline are fascinating. Since Roman times it is estimated that a strip of land three and a half miles wide has been washed into the North Sea. Two miles are estimated to have been lost since the Norman invasion in 1066 AD. One lost village, Ravenser Odd, is particularly significant. Described as a mediaeval "new town" founded in 1235, it was also a thriving sea port. By 1346 it was recorded that two thirds of the town and its buildings had been lost to the sea due to erosion. In the years that followed from about 1349 to 1360, the sea had completely destroyed Ravensor Odd." 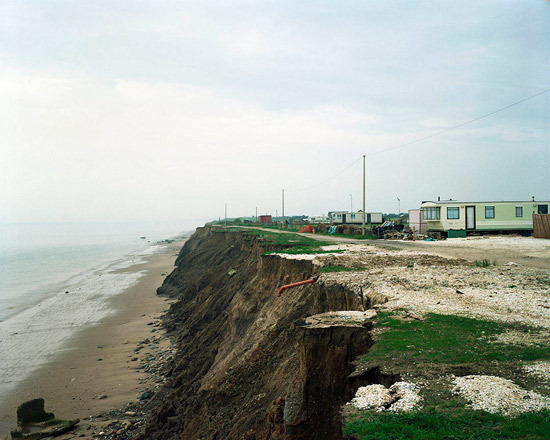 "The 'Lost Villages' project will continue to document the erosion of the Holderness coastline and the difficulties experienced by the people, who are quite literally living on the edge there. In just over a year of working on this project, I have seen the coastline change markedly right before my eyes. This really does bring the speed of the erosion into reality."